I’ve put this review off for about a month now as I wasn’t sure how to go about it. I suppose I should really start at the beginning. 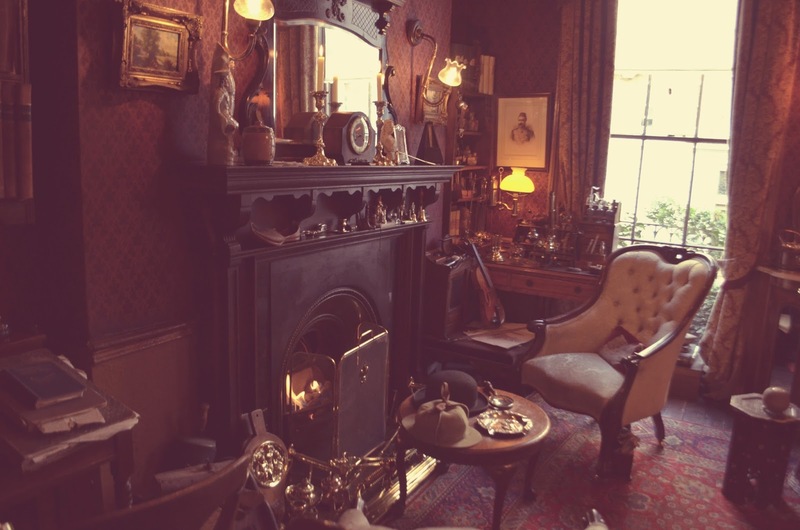 Last month I visited The Sherlock Holmes Museum, located very conveniently at 221b Baker Street. I had originally planned to go last year during our Sherlock themed day out for a friend’s birthday but instead we put it off until this year. We were both super excited to see what the museum would have in store as most of the reviews said that it was a definite must-see for Sherlock fans. It’s just a short walk from Baker Street Underground station and very easy to find. 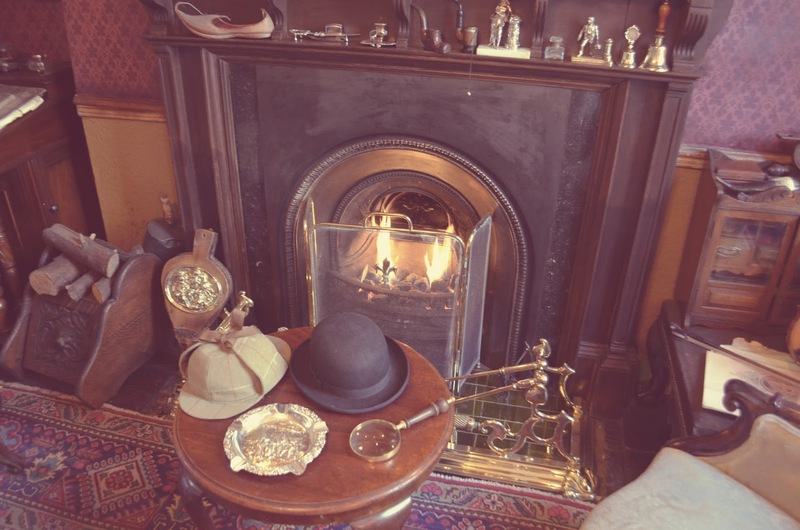 There is usually a small queue outside the building and if you haven’t bought your tickets online you can pop into the Sherlock Holmes souvenir shop which is right next door and buy your tickets there. We had a quick nose around the gift shop and purchased our tickets before wondering back outside into the queue. 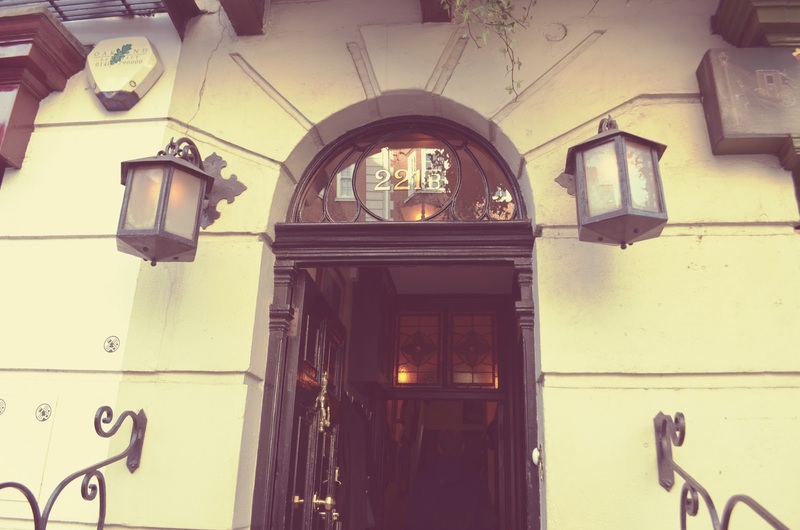 Once you get nearer to the front of the queue, you’ll notice a few deer stalker hats hanging on the railings which you can put on and take a picture outside the infamous 221b door whilst you wait your turn. About 20 minutes after queuing up, we were finally allowed entry and off we went. Now it turns out that the museum itself is not so much of a museum but more a house, a very tiny house filled with…stuff. There are 3 floors with two small rooms each which means that the entire trip can literally be done in about 15 minutes. I was really disappointed to see that there were no placards or signs to explain anything. Nothing to read, just things like smoking pipes and old books to see. There wasn’t much that linked the objects to the stories. It was only after my friend had said “isn’t it weird that they’ve got a museum dedicated to someone who doesn’t even exist” that I realised how strange the whole thing was. 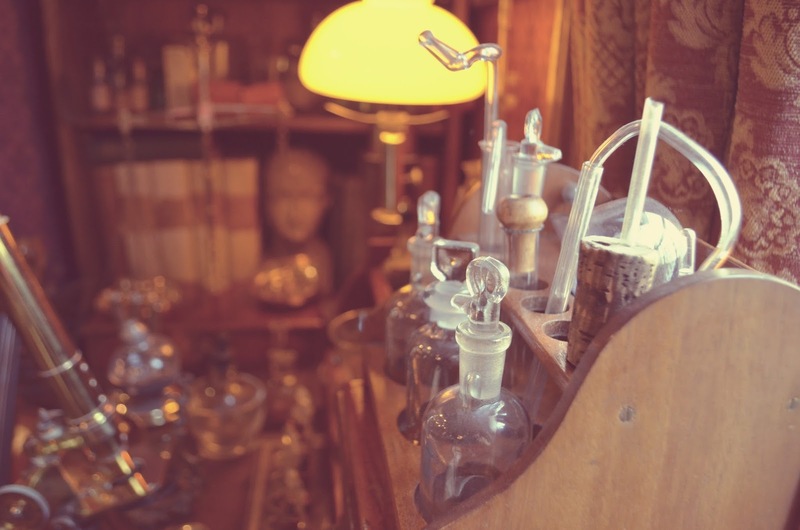 None of the items were authentic in any way because Sherlock Holmes didn’t exist. There were no signs to show whether any of the objects had been used in the television programs or films. Technically I knew this, but being surrounded by all this junk made it seem like such a sham. If I were to make a suggestion to the owners, I’d definitely ask them to set up a tour of some sort. Maybe re-tell a different story every few months, making it into an immersive experience. At least then you wouldn’t be aimlessly wondering around look at seemingly random objects. For someone who is a fan of the programme but hasn’t read all the books, I just didn’t see the point of the “museum” at all. When we got up to Dr Watson’s room, there were strange mannequins, planted around the tiny room. I’m guessing they were supposed to be characters of some of the stories but again, no explanation meant people were walking in and walking straight out. In all honesty, I would urge you all to save your money and go to a free museum instead, because otherwise you’re going to spend £15 to go and look at random objects that mean absolutely nothing. Madness!